MARQUETTE– Opioid abuse is an issue that has gained considerable attention over the past few years. 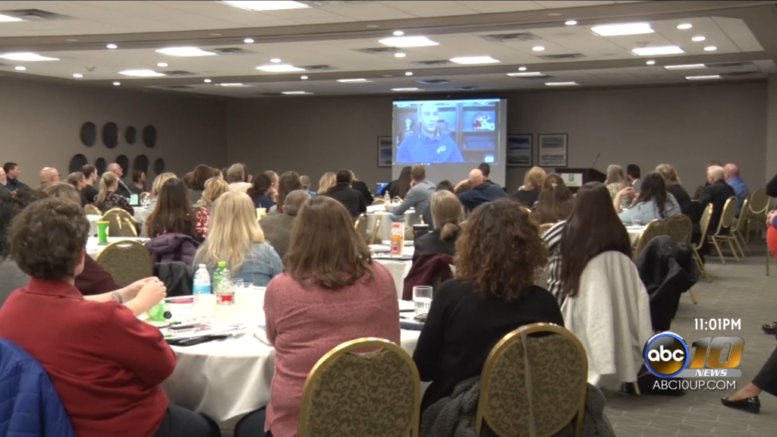 The 2019 Opioid Summit, held in Marquette Wednesday, brought this issue to light. At the summit was a group called Families Against Narcotics, a non–profit organization based out of lower Michigan. Families Against Narcotics, or FAN, gave a talk about trying to break the stigma surrounding addiction, in order to encourage people to seek help. The organization showed the packed Holiday Inn crowd a video, highlighting various stories of people that struggled with addiction, after being prescribed opiates for sports–related injuries. Although there is no Families Against Narcotics branch in the UP, the organization is hopeful for the possibility.